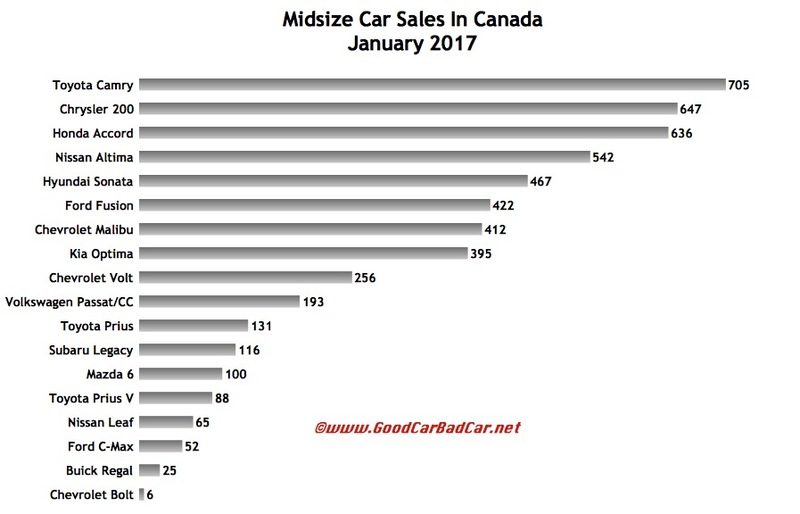 Despite a 12% year-over-year decline to only 705 units, the Toyota Camry was Canada’s most popular midsize car in January 2017. 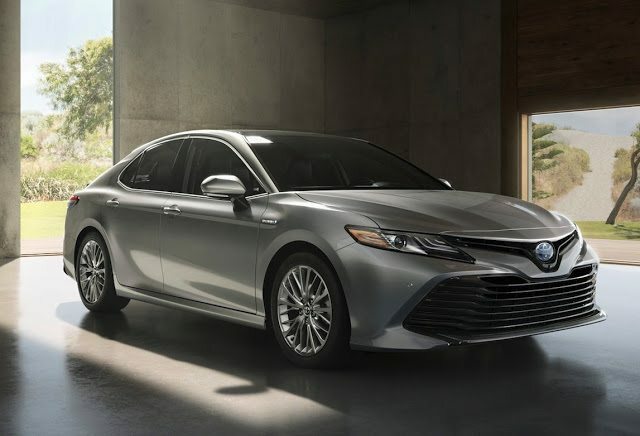 January also hosted the introduction of the all-new 2018 Camry at Detroit’s North American International Auto Show. Is a new Camry enough to turn around a category that lost more than 11,000 sales in 2016 and more than 600 in January 2017? Besides the Camry’s decline, Canadian sales of the Buick Regal, Chevrolet Malibu, Ford Fusion, Hyundai Sonata, Nissan Altima, Subaru Legacy, and Volkswagen Passat all declined at double-digit rates. Only the ultra-low-volume Mazda 6 (Canada’s 57th-best-selling car last month) and the discontinued Chrysler 200 (clearing out with steep discounts) posted improvements. In fact, subtract the gains made by those two cars and their declining cohorts combined for a 19% decrease compared with January 2017. You can click any model name in the tables below to find historical monthly and yearly Canadian auto sales data. You can also select a make and model at GCBC’s Sales Stats page. These tables are sortable, so you can rank midsize cars any which way you like. Suggestions on how GCBC should break down segments can be passed on through the Contact page. Mobile users can now thumb across the tables for full-width access. ^ Volkswagen Canada combines figures for the Passat and CC.